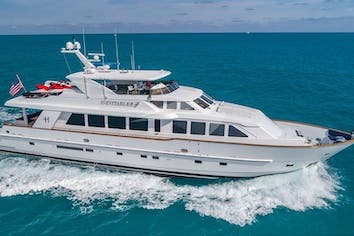 This 97 ft luxury yacht, JUSTINE, docks in New York City and offers skyline harbor cruises as well as excursions to the Hamptons, Long Island Sound, Atlantic City, Hudson River Valley, Block Island, and New England. She has been hosting private events for the city's most discriminating clientele since 2011. 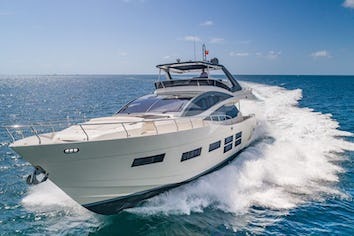 The Yacht features a large and elegant salon, full service bar, media center, state-of-the-art exterior and underwater LED lighting, fully equipped galley, topside lounge seating, four comfortable ensuite staterooms and a forward sun pad. The yacht was recently entirely gutted, refit, repainted, and refurnished. 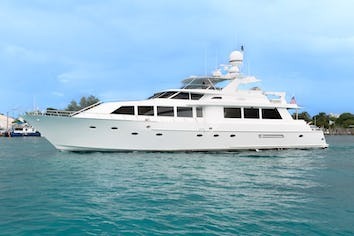 Justine can cruise with up to twelve guests with private chef and bar service. The yacht sleeps eight overnight in four large and comfortable staterooms. The VIP stateroom has a walkaround kingsize bed and full bath. Guest staterooms with twin beds follow, port and starboard, each with head and shower. Behind these are the Master Stateroom, full amidships, with king size bed, full vanity and sofas, large bath with twin heads. Crew quarters with separate entrance lies aft of the engine room. .